With the long span of blocked YouTube Pakistani users are now tired of accessing YouTube with proxies and VPN services. 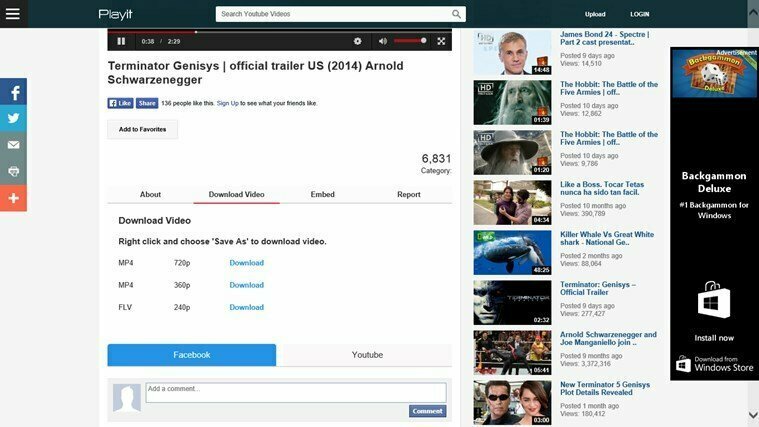 This frustration led to development of new sites which embed YouTube services and display them under their domain name. This method is so far working very well as Govt didn’t banned them. Even If you live in Iran, UAE, Thailand, Turkey, Iraq, Brazil, China, Pakistan or any country with censorship policies that disables YouTube access due to some religious offensive content then these sites might help you as well. PlayIt.pk – Fill your video appetite. VIMOW.com to Watch and download YouTube videos. VIMOW made it very easy to surf you tube. vimow offers fast and seamless streaming of youtube videos and allows you to download any video easily…. 2 Sargodha University Pakistani students created this website application to unblock YouTube videos in Pakistan. No proxy or any installation is needed to use these websites. Disclaimer: This tutorial is for educational purposes only and is not intended to be put into practice unless you have authorized access to the system you are trying to access into. ww.web.pk is not affliated with any of these websites in any way. well im using ” http://video.funops.com ” and its really awesome simple and fast.